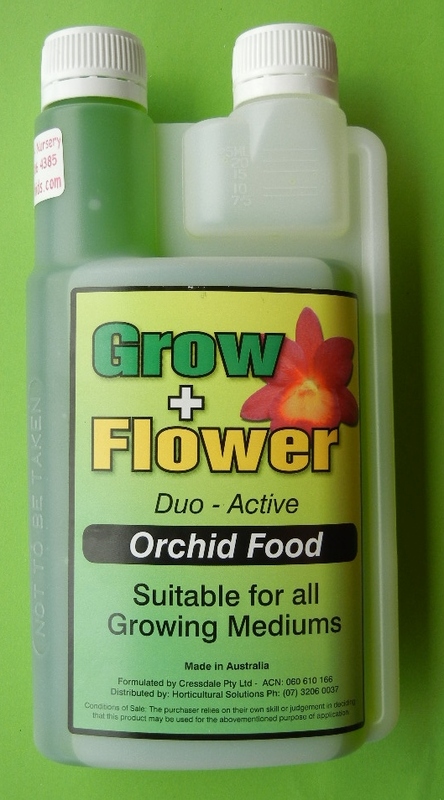 Grow + Flower is a balanced all in one Liquid Fertilizer designed for Orchids. Mixed at the rate of 2 mls / litre of Water. This high grade Fertilizer can also be used on all ornamentals.